Color Block Top Just $14.99! Down From $50! Shipped! 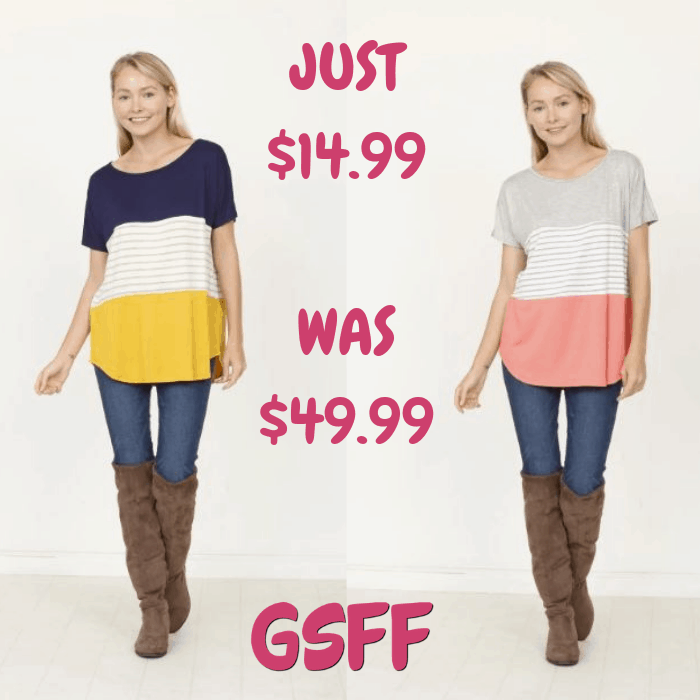 You are here: Home / Great Deals / Color Block Top Just $14.99! Down From $50! Shipped! This deal expires on January 7! At Jane, you can score this Color Block Top for just $14.99 down from $49.99 PLUS FREE shipping! This luxurious tunic is a comfortable classic! Lovely design and vibrant colors! You’re gonna love it!